From the irreverent star of Fox News’s Red Eye and The Five, hilarious observations on the manufactured outrage of an oversensitive, wussified culture. Greg Gutfeld hates artificial tolerance. At the root of every single major political conflict is the annoying coddling Americans must endure of these harebrained liberal hypocrisies. In fact, most of the time liberals use the mantle of tolerance as a guise for their pathetic intolerance. And what we really need is smart intolerance, or as Gutfeld reminds us, what we used to call common sense. The double standard: You can make fun of Christians, but God forbid Muslims. It's okay to call a woman any name imaginable, as long as she's a Republican. And no problem if you're a bigot, as long as you're politically correct about it. The demonizing of the Tea Party and romanticizing of the Occupy Wall Streeters. How critics of Obamacare or illegal immigration are somehow immediately labeled racists. The endless debate over the Ground Zero Mosque (which Gutfeld planned to open a Muslim gay bar next to). As well as pretentious music criticism, slow-moving ceiling fans, and snotty restaurant hostesses. Funny and sarcastic to the point of being mean (but in a nice way), The Joy of Hate points out the true jerks in this society and tells them all off. 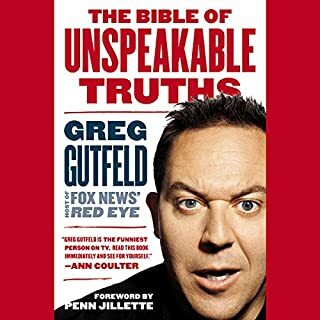 Without the usual tactic of resorting to personal attacks, it would be nearly impossible to find fault with ANY of the points Gutfeld makes in this book. Gutfeld chose to illustrate each point with examples that actually happened, rather than conjecture or opinion. When taken point-by-point, every topic is fully explored and explained... and most importantly, proven. 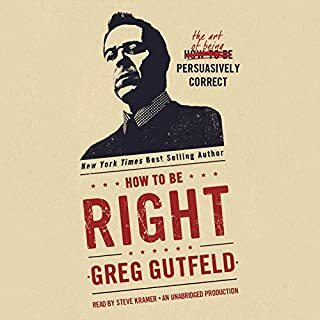 The humor or Greg Gutfeld may well be an acquired taste, but it makes what might be described as a "partisan" perspective much more palatable. Greg Gutfeld is a polarizing figure in today's media. If you were to only look at his resume', you might he was a typical American liberal. UC-Berkeley, Huffington Post, etc. Perhaps this is what gives his political perspective credibility. His history allows him to describe the 'political left' from the view of someone who spent a long time on the inside. He is able to paint a vivid picture of what the modern liberal community is like... because he's been there. This book is filled with criticism of how our world operates and labels people. And it shows with clear and vivid examples, how unfair and intolerant the modern world has become. Tolerance enforced with an unshakable intolerance. A true 'Joy of Hate'. I challenge anyone who describes themselves as a liberal to give this book an honest objective read. If you will allow yourself to consider the points Gutfeld makes here, I think you might possibly re-think how you describe yourself. It's one thing to take a position out of necessity or popular pressure. It's another altogether to take a position out of honest thought. For this single purpose, I cannot recommend this book higher. We are in a critical time in America, and I don't think there could be a better documentation of why we are as polarized as we are. For all of our sakes, please give it a chance. What made the experience of listening to The Joy of Hate the most enjoyable? I really enjoyed the quick wit, and the metaphors used to convey this enough is enough message. I love the way Greg abandons the PC excess in favor of common sense. Case in point, his take on the Mosque to be in NYC. The ideas of a gay bar next door really put things into perspective and effectively shut the mouths of the so called tolerant. Did Steve Kramer do a good job differentiating all the characters? How? Not especially, I much prefer that the Author read his own work. I think Greg would have done a much better job relaying the spirit of the message. Also the narrator mispronounced some words and some people's names, not very impressive. Gutfeld's use of metaphors to convey the logical absurdities in this over PC'd world. Why didn't Greg Gutfeld narrate??? I love Greg Gutfeld. I bought the book thinking he would narrate. I should have looked. 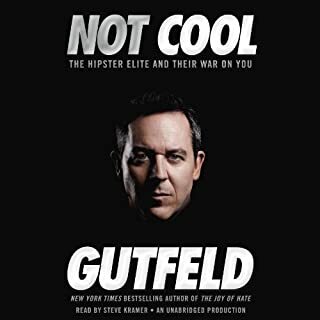 Gutfeld has such a great, distinct voice that hearing someone else read felt forced and disingenuous. After a few chapters, I couldn't listen anymore. Gutfeld succinctly and humorously puts into words what I've been thinking about the antics of the entitled lefties for a long time. There were actually passages that had me laughing so hard at the ironic truths put forth in this book that I actually had to rewind it to hear the parts that I missed while I was laughing..., much to the amusement of some of my coworkers. I highly recomend this book to anyone who's looking for a few laughs at the expense of the heavily biased media and the liberal elites. It was exactly what I thought it would be by watching Greg on "The Five"!!!!!! Yes, he does not hold nothing back and tells it like it is, the truth!!!! I don't think that I've ever heard liberal hypocrisy exposed so clearly. Could hardly stop listening! 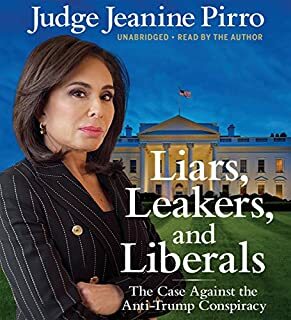 Finally, a book that speaks truth to the Powerati. 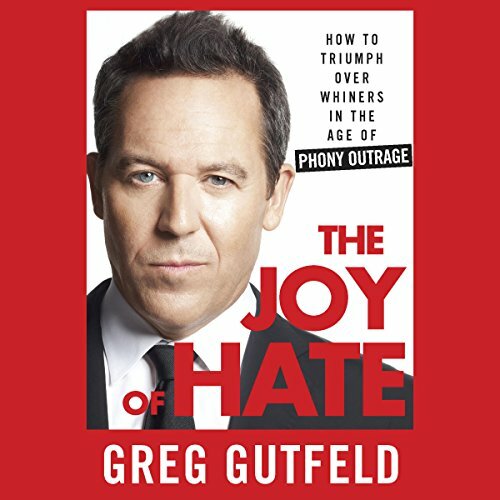 Would you consider the audio edition of The Joy of Hate to be better than the print version? It is great hearing someone unafraid to dispell commonly accepted twaddle. What does Steve Kramer bring to the story that you wouldn’t experience if you just read the book? 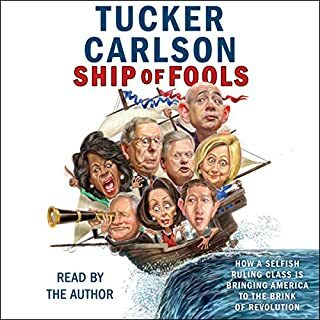 I am amazed that Steve Kramer could read this book almost as if he understood Mr. Gutfeld from the inside of his brain. The author read his own intro and I believe I liked his own reading a little more than Mr. Kramer's. However, the two were virutually identical in putting across both the insight and the humor. t's clear that is a difficult thing to do. Read this book. Greg coins the word Tolerati. If you read this book, you will become one of the Powerati... after they are all overthrown that is. I can not wait for his next one. Where does The Joy of Hate rank among all the audiobooks you’ve listened to so far? One of the top books I have listened to in a while hilarious thought provoking. What did you like best about The Joy of Hate? What did you like least? Gutfeld is an entertainer. If he doesn't narrate the book he needs to get a good impersonator to do it. 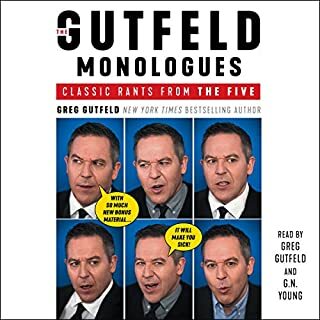 Would you ever listen to anything by Greg Gutfeld again? YES, if he narrates it himself. I will buy the printed copy if someone else narrates it. Kramer is a great narrator but he isn't Gutfeld. If Greg is too busy, there must be someone who can impersonate Him. Did The Joy of Hate inspire you to do anything? If you could sum up The Joy of Hate in three words, what would they be? The humorous viewpoints, which forces the reader, to closely examine present media and overall viewpoints were thourghly enjoyable. Mr. Gutfeld takes, sometimes, uncomfortable perspectives, and invites the listener/reader to 'walk in his shoes'. This was truly laugh out loud funny, plus enlightening and informative...BONUS! Which character – as performed by Steve Kramer – was your favorite? Liked it so much....I plan on listening to it again! I hope the Mr. Gutfeld writes another...the world needs a little more common sense!